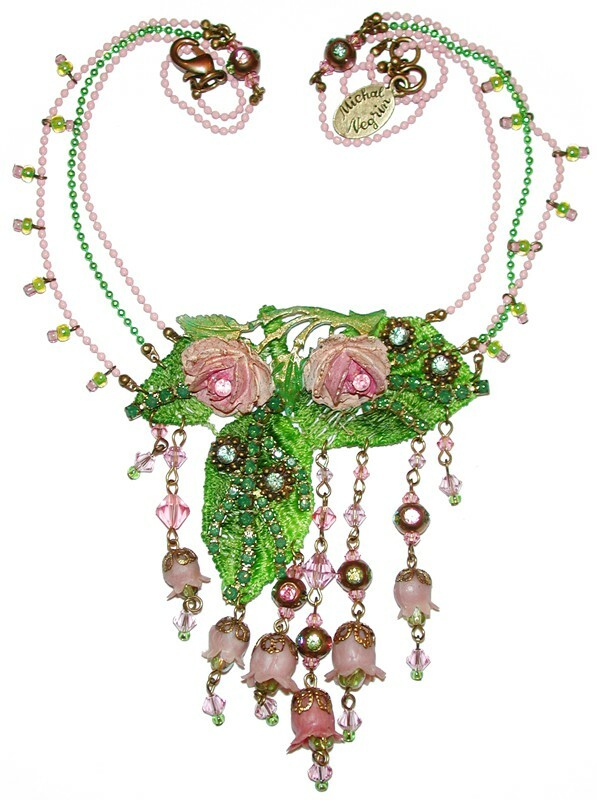 With green painted lace embellished with Victorian style pink Roses, Swarovski crystals and beads. 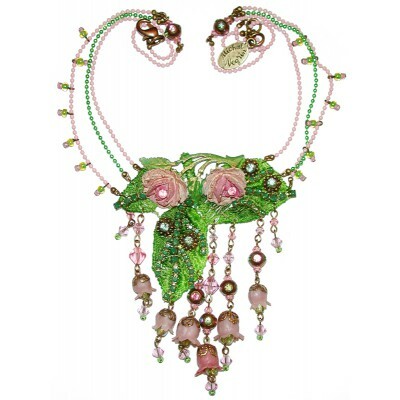 The pendant measures 3 1/2 inches high at its highest and 2 1/2 inches wide at its widest. The chain length is adjustable.